THE songs and music of the First World War will be brought to life at a special show at the Palace Theatre in Redditch next Thursday, November 1. Forgotten Melodies: Keep The Home Fires Burning is a show touring the UK and will transport the audience back 100 years to the songs that kept the spirits up of our soldiers fighting in the trenches. 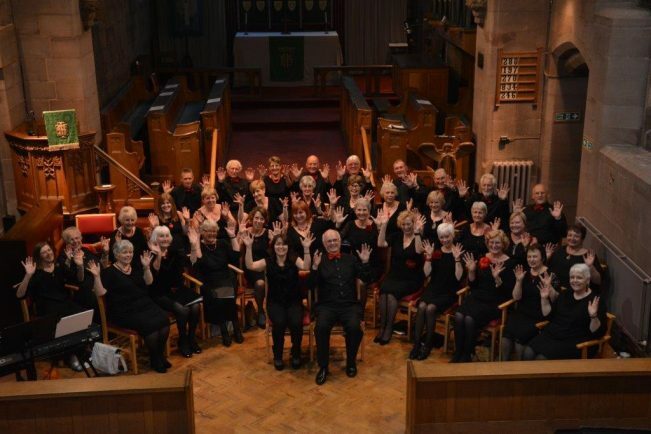 And joining the soloists and orchestra on stage will be north Worcestershire’s very own Bel Canto Singers who were invited to take part back in March. “I received an email asking if we would be interested and I put it to the choir and the answer came back that yes, they would be very interested indeed!” said Bel Canto’s music director Polly Speers. There then followed a busy summer with rehearsals added on to their own regular get-togethers. “We had some audiotapes and it was a case of learning the songs as a script as thoroughly as possible and working on the harmonies to bring it all together,” added Polly. Singing the songs also brought the choir closer to those times 100 years ago and the mud and blood of the trenches. “You really do get an affinity to what was happening. Imagine, you are taking part in remembering something that happened 100 years ago and you begin to understand why people signed up for the war with such enthusiasm,” said Polly. The show features classic songs from the Great War, including Pack Up Your Troubles, Hush Here Comes A Whizzbang!, Oh It’s A Lovely War, Long Way to Tipperary, Forward Joe Soap’s Army, When This Lousy War Is Over, Keep The Home Fires Burning and Goodbyeee. Tickets are £19 in person from the Palace box office or on 01527 65203 or visit www.redditchpalacetheatre.co.uk/. The Bel Canto Singers meet at Crabbs Cross Methodist Church at 7.30pm on Mondays, and are always looking for new members. Go along to one of the sessions or visit www.belcantosingers.uk for more information.